- Only Trained Members of the Club Can Submit a Grant Request. 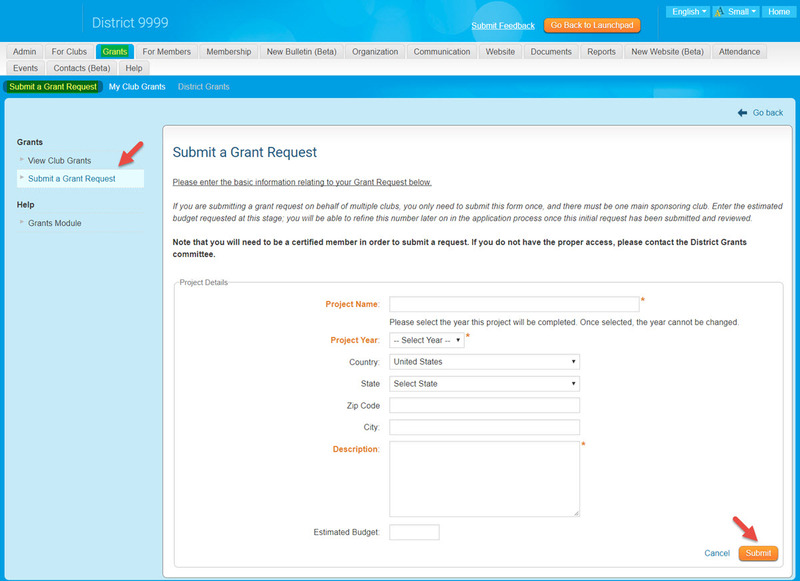 Start by clicking on the Submit a Grant Request. This link can be found on the left side menu. Fill in the appropriate fields within the initial application. If you are unable to submit a Club Grant contact your District Grants Administrator, or if you are uncertain who that is, then your District Secretary. Alternatively click here to submit an email ticket to us and we would be happy to investigate further.